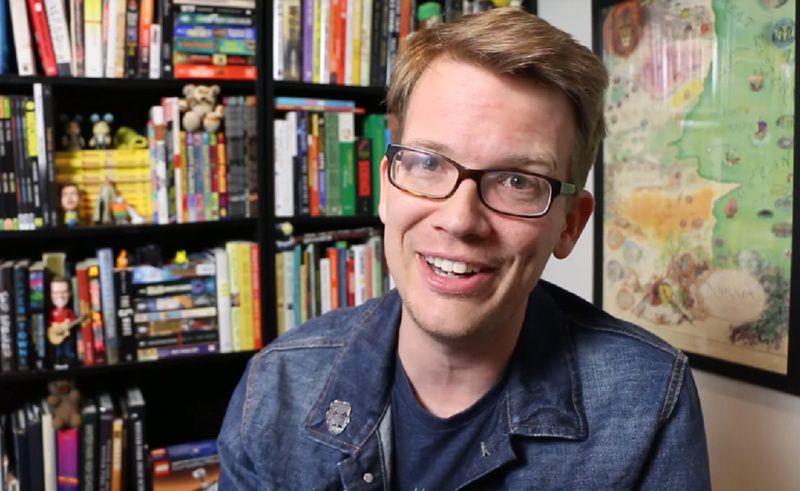 YouTube veteran vlogger Hank Green has been uploading vlogs, creating educational videos, running production company Complexly, operating VidCon — and more — for 12 years. And miraculously, Green says he has never once experienced burnout. In a new blog post, Green shares exactly how he’s been able to stave off these feelings when so many other prominent YouTubers have been struggling with overstress and deteriorating mental health as a result of the rigorous schedules they keep. For Green, one of the main factors is the core audience he and brother John Green — who continue to create back-and-forth videos on their long-running Vlogbrothers channel — have developed. Dubbed ‘Nerdfighters,’ the brothers’ 3.1 million subscribers have kept them afloat by buying merch and John’s books (and, presumably, Hank’s upcoming first book). Now that the Greens also have a Patreon, fans can support them financially in monthly installments in exchange for exclusive content. Unlike many vloggers who join YouTube today, when Hank and John started uploading videos, there was no way to monetize them. So, for Hank, “[E]very dollar I have made from YouTube is just a bonus,” he writes. Hank also mentions that he was 27 when Vlogbrothers began, while a large number of today’s vloggers who hit it big do so when they’re teenagers, or even younger. “I’m not saying that having a little more life experience is necessary or a guarantee of a more stable YouTube path, but I do think it helps,” he says.